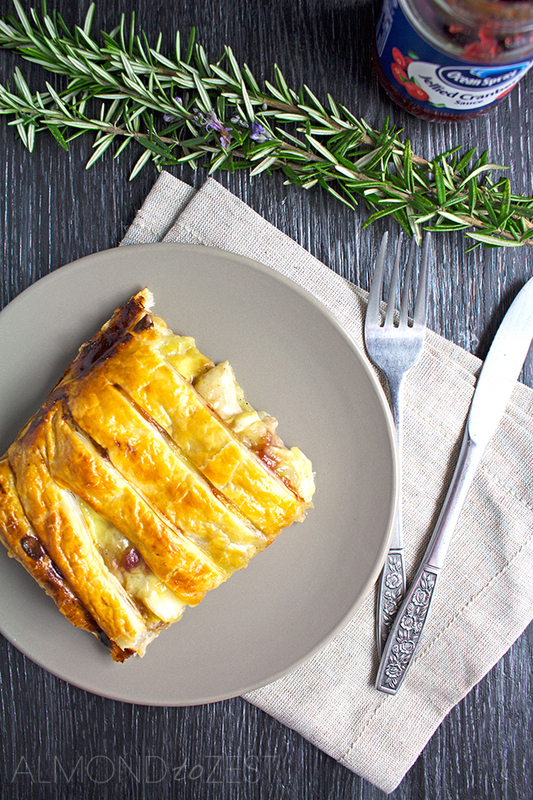 With its classic combination of flavors, this Chicken, Cranberry and Brie pie has got to be the tastiest and the easiest puff pastry pie to throw together. It doesn’t take forever to cook, which also means less time to wait till you get to eat it…double bonus!! And so with all these fantastic facts in mind I thought I better put my thinking cap on and create us another version of this spectacular pie. And this my friends is what I created. I decided to stick with the chicken theme, cause I mean we all seem to love chicken right? 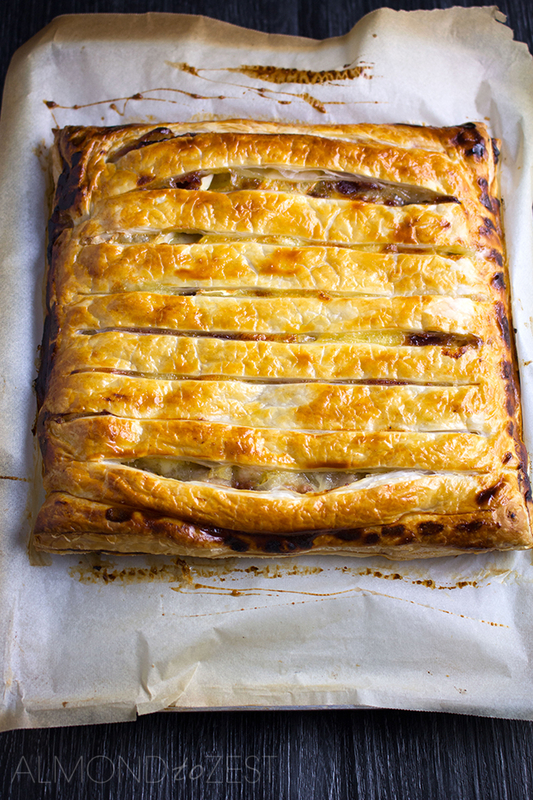 I also decided to stick with the Brie theme, cause Brie + chicken + pie = mouth watering goodness. 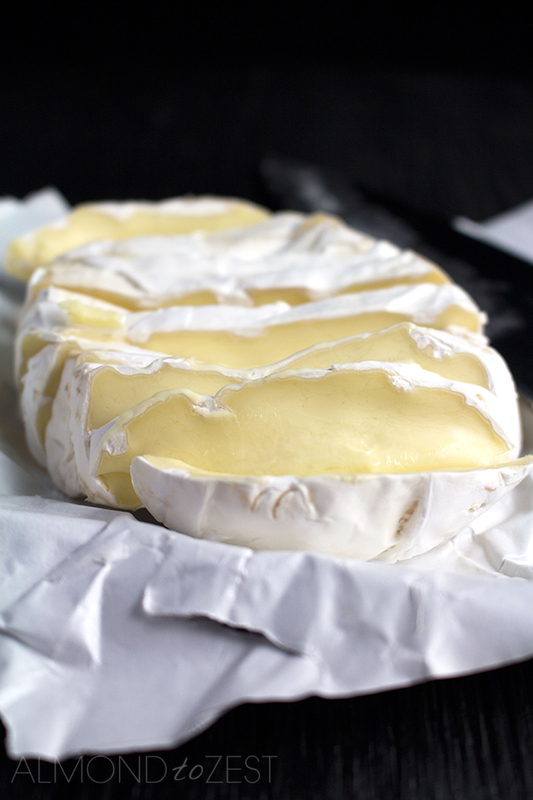 And let’s face it Brie is just soo freaking amazing that I would eat it on pretty much anything and everything. No jokes!! Even in the making of this pie only 8 out of the 12 slices actually made it onto the pie. The other 3 were eaten out of complete temptation. Or what I like to call ‘The chefs treat’. 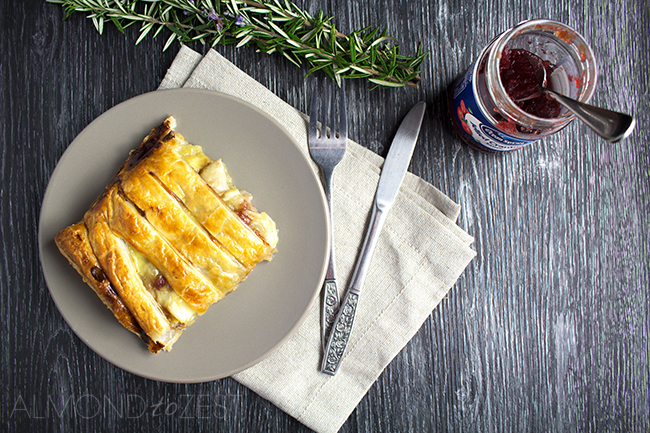 Now I know what you guys might be starting to think….have I just cheated and swapped the leek out for some cranberry sauce and called it a whole new pie. Hell no!!! 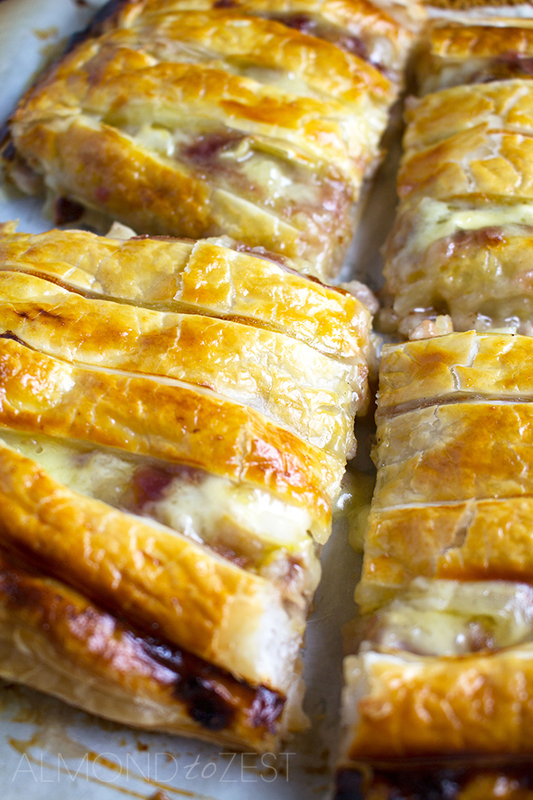 Although slightly similar, this Chicken, Cranberry and Brie pie tastes completely different to its leek sister, but just as delicious. You’ll see. The filling for this pie is a bit richer than the last one, with a slightly higher butter content and a hell of a lot more wine. We are talking twice as much here people. The white wine sauce matches the three main ingredients perfectly. And once the cornflour is mixed in, a thick, almost creamy, white wine sauce develops and coats the juicy chicken pieces generously. The sweetness for this pie heavily relies on the cranberry sauce. Which not only adds sweetness but also a tangy zing. I used Ocean Spray’s Jellied Cranberry Sauce in this pie, but any type of cranberry sauce would work well here. And then there is the Brie. Now I don’t want to ramble on too much about how much I love this stuff, already done my fair share of that already in this post. So all I will say is this, that this cheese was made for this pie. Like a match made in heaven. Once heated up in the cooking process, this soft Brie cheese turns into a oozy, gooey mess that melts over the chicken filling like a thin blanket. No other cheese could quite fill the job description as well as this fella can. Wrap these three up in a couple of sheets of puff pastry, and don’t forget to create the ‘sneaky peak’ slits onto. Then pop into the oven till the pie looks all puffed up and golden brown. This next part is possibly the hardest part in the making of this pie, but an essential part, the cooling down time. If you skip this step before slicing up the pie, then sadly you will lose some of that gorgeous filling. Trust me, I am impatience and had to learn the hard way. Just give it 5 minutes for everything to ‘settle’ and you won’t regret it. 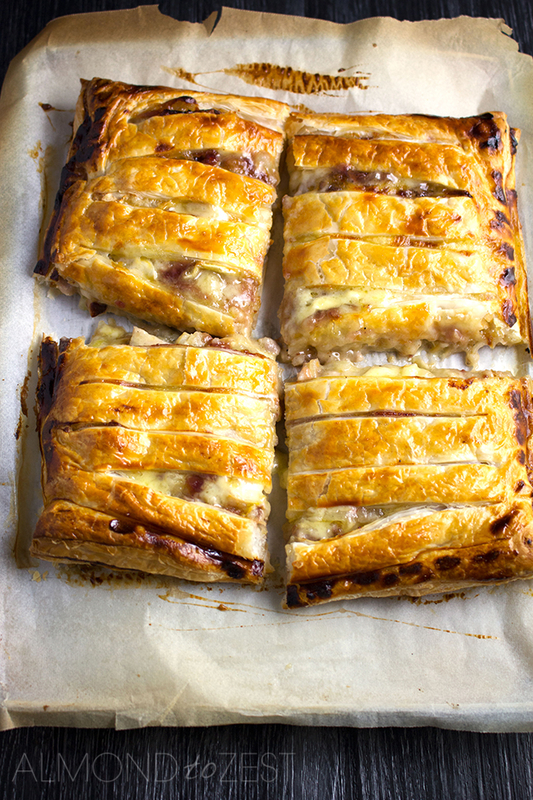 So I hope all you Chicken, Leek and Brie Pie lovers give this Chicken, Cranberry and Brie Pie a go. And if you do, leave a comment below, I would love to hear about it. Thaw pastry on bench and heat oven to 390 (200C) and line a cookie tray with parchment paper. In a medium sized frypan over a medium heat, melt butter and cook onion for around 5 minutes till soft and translucent. Add chicken and cook through. Add wine to the fry pan and continue to cook for around 5 minutes. Season with salt and pepper. In a small bowl mix together the cornflour and water to create a paste. Add this to the chicken mixture and mix through. Remove from heat. Take the first sheet of the puff pastry and place on a cutting board. Leaving a 1 ½ inch border around all sides make about 8 evenly spaced slits along the width of the pastry sheet. Place the second sheet on the cookie tray and spoon on 2 teaspoons of the cranberry sauce. Spread evenly over sheet leaving a 1 ½ inch border. Spoon chicken mixture into the centre, then spread out leaving the 1 ½ inch border. Place the Brie slices on top. 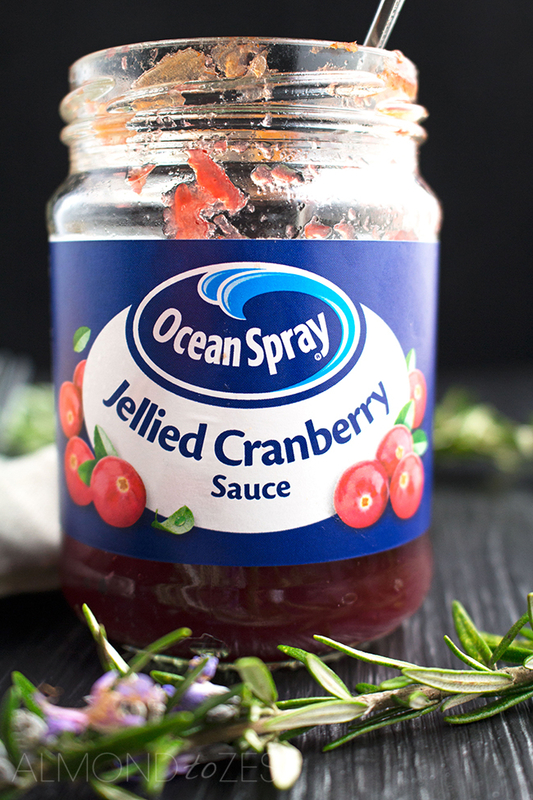 Using your fingers place remaining 3 teaspoons of cranberry sauce in small blobs over the top. With a pastry brush (or your fingers), brush some of the beaten egg around the 1 ½ inch border. Place the first pastry sheet on top of the second, press down the border with your fingers and brush the egg over the pie. Cook for around 20 minutes until the pastry is golden brown. Let stand for 5 minutes before cutting.